A premium option for customer-facing collaboration, the Huddle Enterprise solution eases both preparation and execution within mid-sized huddle spaces. 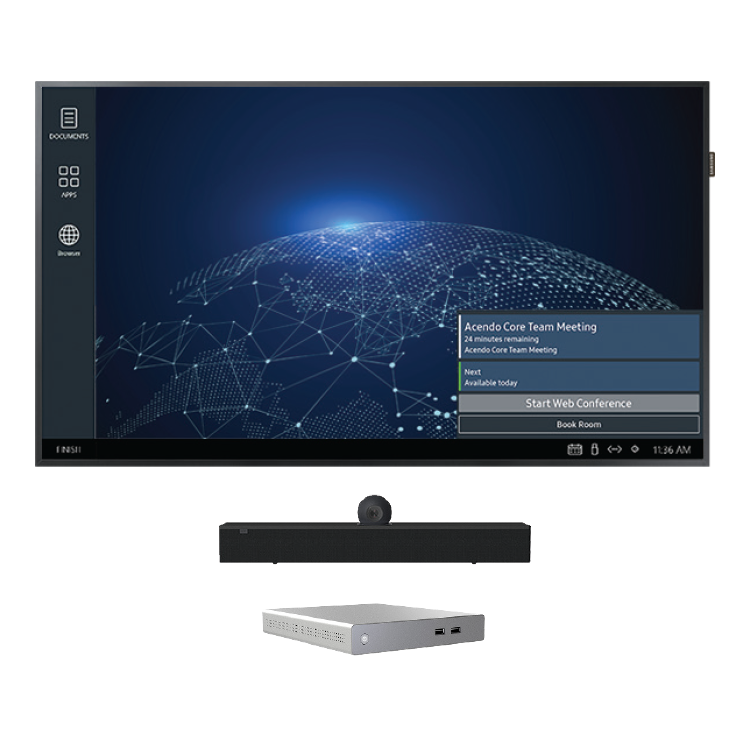 The Huddle Enterprise solution builds upon the Huddle Premium solution through the integration of HARMAN’s AMX Acendo Core business communication platform, enabling users to book rooms from within the meeting space. 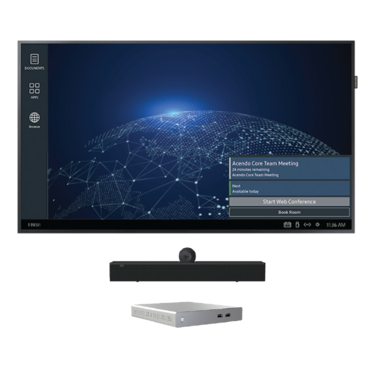 Once meetings initiate, the Acendo Core platform facilitates convenient document exchange, multi-screen sharing and one-touch Skype for Business interaction to keep all participants informed and engaged. By condensing all required equipment to a single solution, Huddle Enterprise allows users to participate in local and remote meetings without bringing anything into the room. Wireless Sharing – Use AirPlay or Google Cast to easily share content from mobile devices or a PC. Built-in Document Viewers – Users can present content without bringing any devices to the room. Users simply walk into the room, start a session, navigate to their document (USB drive, network drive, or the web), and start their presentation.